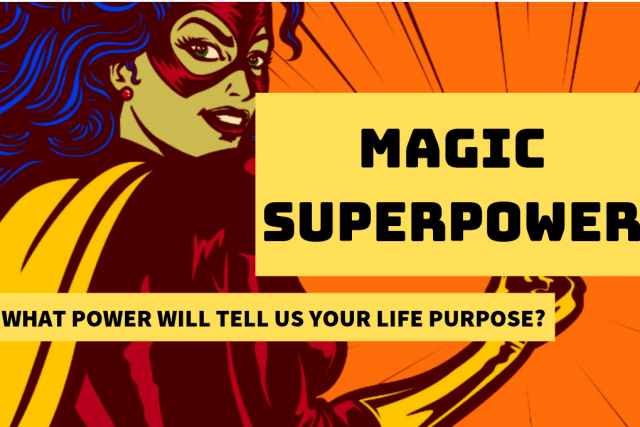 What Magic SuperPower Would Tell You What Your Life Purpose Is? We all have magic superpowers but are you fully conscious of yours? Try this quiz and see Superman. What you have just discovered by taking this quiz is the power that you behold with just your gaze. You have an incredible vision and the power that lies within you is what makes you see things clearly. You can look into the heart of any soul and see who they really are. This is an amazing super power as you can tell clearly who are the good people that you need around you and who might be toxic. Keep those eyes wide open and you will attract everything you need in life. Your mind is your true super power. Whether you can multiply, make magic or conjure up a new invention, your mind is the most powerful tool that you own. Use it wisely and the world is your oyster. Being alone is best for you as it helps you think about what you really need and want. Your mind is best when clear and this helps you align and get the best out of any situation. Your soul is your greatest power and you should always follow it. No matter where you might be in the world, when you are truly connected to your body, you can do no wrong. It is important to keep in your body to be connected to your intuition or else you might loose sight of it. When you are not connected to it you loose it so make sure you tune your craft and guide yourself with your inner super power to make life what you want it to be.